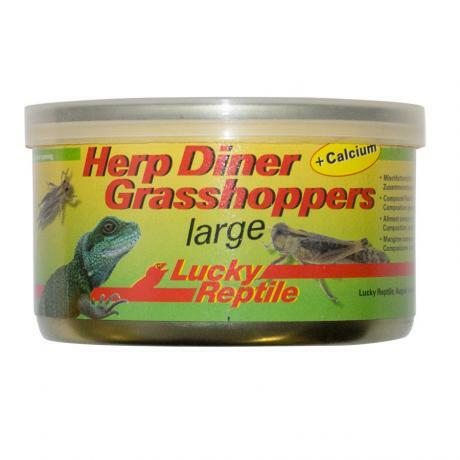 The Herp Diner Grasshoppers are cooked in the can locusts and there are 20 Large locusts per can. This special process creates flavour and taste that makes this food also interesting to animals that normally only eat live food. There are no artificial flavours or preservatives contained. However, cuttlefish bone powder has been added for an increased calcium content. The locusts are a little larger than crickets making them an excellent food for insect eating lizards (especially bearded dragons and monitors) and birds but also water and box turtles. 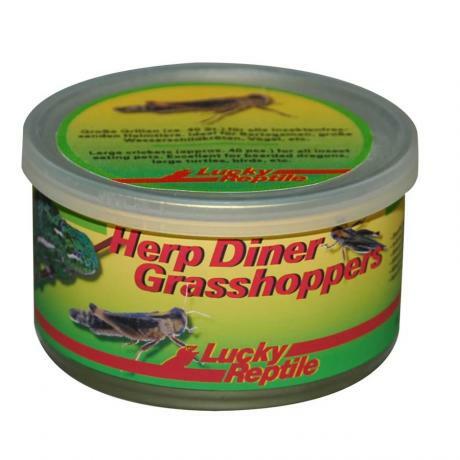 Especially for turtles, Herp Diner Grasshoppers are an excellent addition to the normal diet.